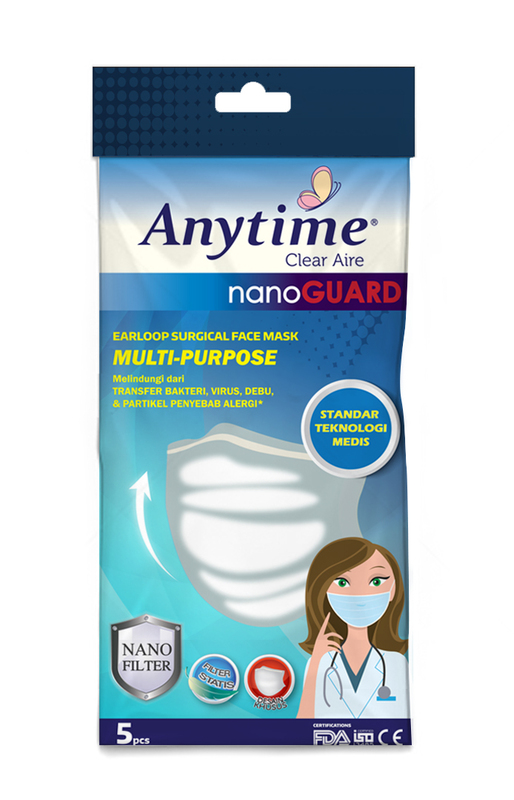 Anytime Clear Aire Nano Guard Multi Purpose Face Mask is very suitable for daily outdoor usage. Made of high quality materials to effectively filter microparticle from dust, pollution, and micro organism. Made from hgienic and hypoallergenic materials with Form Fit Design Nose-Piece and Latex-Free Earloops for better protection and extra comfort. 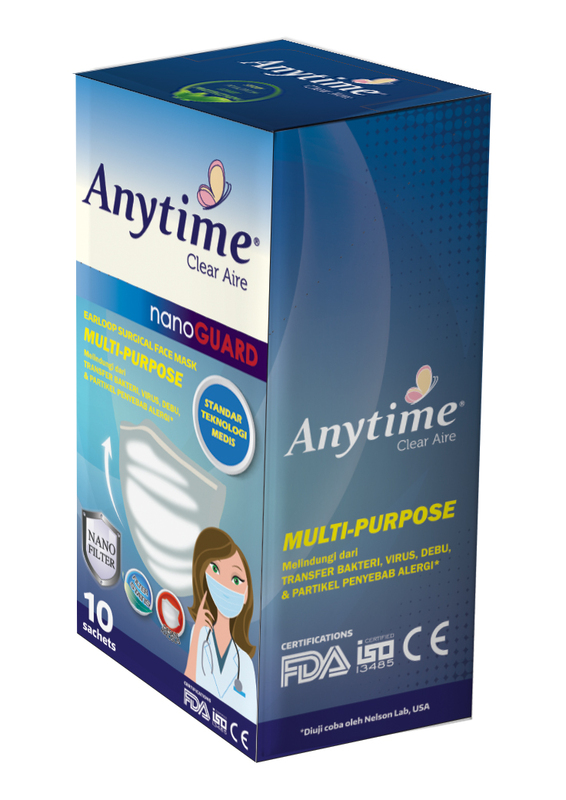 Packed in hygienic and exclusive resealable package. POP UP display box is available for reseller.